For those familiar with Photoshop, you'll feel right at home with Photopea, a photo editing solution that has many of the same basic tools as Photoshop but runs in your internet browser window. 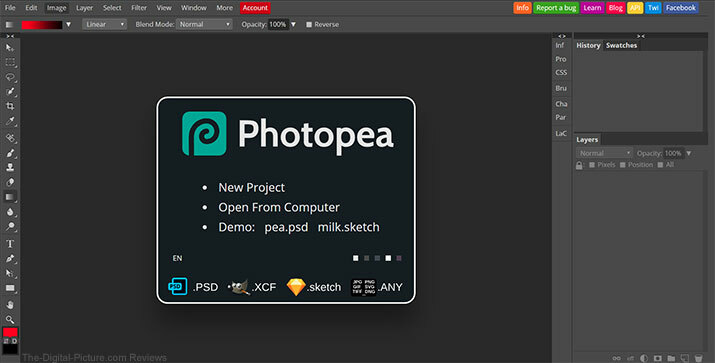 Using Photopea, you can open and edit PSD, XCF, Sketch, XD, CDR as well as popular image file formats and save them as PSD, JPG, PNG or SVG files. And yes, it supports layers and masks.